My dad’s dresser, top drawer on the left. 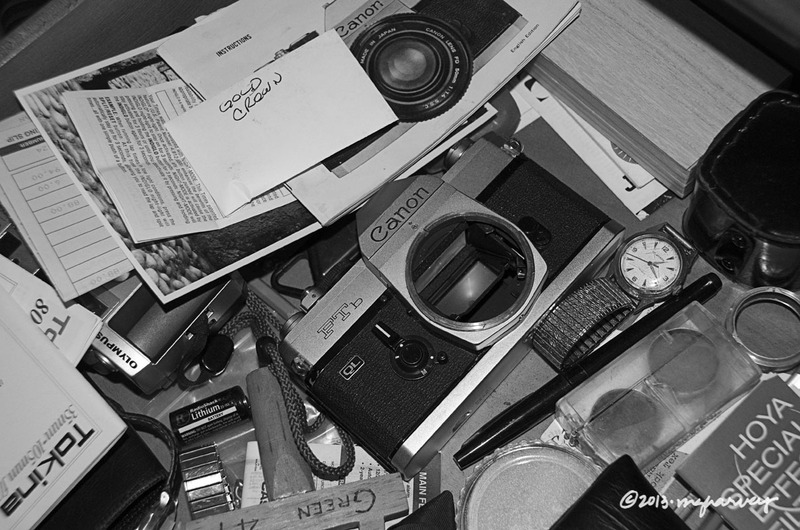 Camera body, a couple of watches, several lens filters, his Tau Beta Pi key from 1947, batteries, instruction manuals. And a tiny white envelope with, in his engineer’s printing, the words GOLD CROWN, that contains a gold crown. This house was new when we moved in, over Christmas 1964. 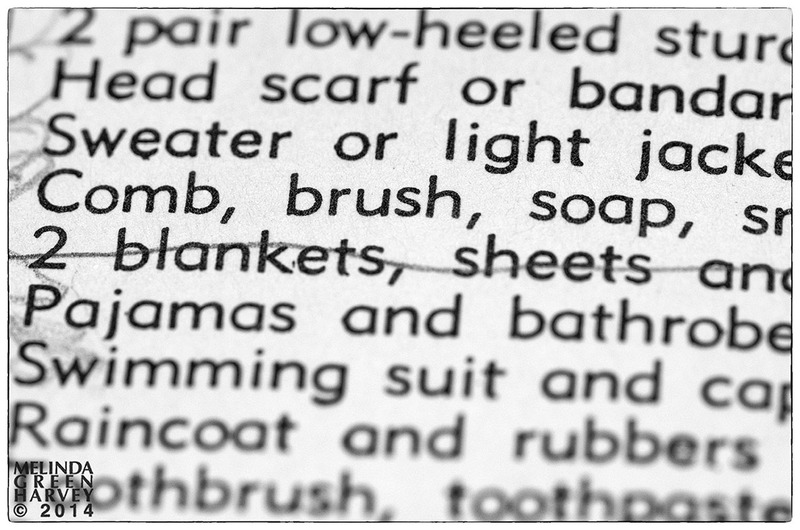 And now it’s time to clean it out, to let it – and all the stuff – find new owners. The state of that drawer is indicative of every drawer, cabinet, shelf in the house. All full, all a jumble of crap and stuff that may not be crap, things I ought to be sentimental about and things I’m not. How am I going to decide what to keep? What to throw out? What to leave for the estate sale? But before that, how will I even know where to start? And how can I dispose of everything my dad accumulated for his whole life, and still look him in the eye when I visit him at the assisted living center? My dad was a civil engineer. He started his career in San Angelo, Texas, working for the highway department. He says he thought he’d spend his career there, until his boss told him it was “too bad” that his degree was from the “wrong” school. It seems that back the the big guys at the highway department went to Texas A&M and he’d gotten his degree from Texas Technological College (now Texas Tech University). He stuck around long enough, though, to meet my mom in Sonora, Texas. According to an entry in their wedding album, he proposed to her in the car, while they were parked along the Ozona Highway. Sounds about right, I guess, for an engineer to take his beloved out to look at a road before he popped the question. He left the highway department, and went to work for Phillis Petroleum, in Borger, Texas, and then moved to Lubbock in 1956 and went to work at Parkhill, Smith, and Cooper, where he worked until he retired. He did well there, working on a variety of big projects across the country. His particular area of expertise was water- and sewage-treatment facilities. I can remember on many (most, actually) family vacations we’d stop along the way to look at sewage plants. Nothing says “vacation” like the smell of effluent, that’s for sure! After he retired from working, he mostly retired from wearing neckties. He’d wear one if he had to, but would complain about it. But he kept some, neatly hanging on their rack, just inside the left-hand side of the closet. We are cleaning out the house now, and I guess someone will be happy to take over the neckties. My parents were good at keeping things, but really bad at keeping things organized. My blue footlocker, that I took to Girl Scout camp, was in the garage storeroom, which also had old camping equipment and a case of motor oil and some tools. And dust. Plenty of it, making a thick coat on everything. I don’t know why this doll was saved. None of our other toys were anywhere around. I had a Barbie and a Ken. My sister had Midge and Skipper (Barbie’s often-overlooked little sister). My best friend down the street (also named Melinda!) had a Barbie with a large wardrobe of store-bought clothes. At our house, though, our mom made Barbie clothes from Barbie-specific patterns, with scraps from her other sewing projects. I wished my Barbie had a fancy wardrobe – specifically the strapless evening dress in silver lame with a mermaid hem made from tulle and matching plastic high-heeled mules. But my doll wore dresses with set-in sleeves, tiny swing jackets, or cotton sheaths in fabrics that matched the clothes my mom wore. 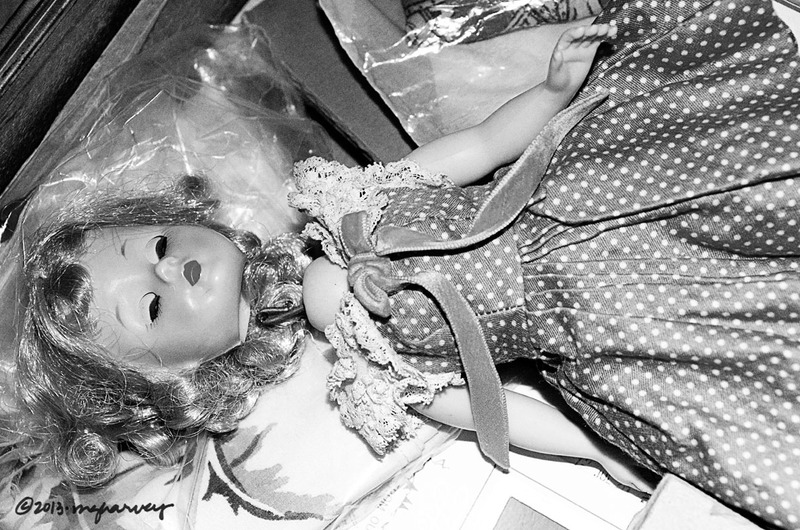 We didn’t find Barbie, or her extended family, when we cleaned out the house. No hand-made clothes, no patterns. That was a little bit of a disappointment: I wanted to look at those tiny pattern pieces with the holes from the pins that would have been used to secure them to the fabric. Our parents were remarkably (and surprisingly) progressive when it came to our toys. Sure, we had Barbies. But we also had building blocks, made from corrugated cardboard printed to look like red bricks. And a woodburning set (which one of my boy cousins used to burn a tiny line in the wood floor in my bedroom, and which I never mentioned to anyone until now). And cars and trucks. And books. And a sandbox in the yard. But back to the footlocker. It held a eclectic mix of things that will be headed to the estate sale. Like the doll and her head. Old pictures of people I don’t recognize. (Oddly enough notes that say “Mama” or “summer” on the backs of photos are not all that helpful.) A white baby dress with pink smocking. A box of pocket watch chains. And the thing is none of this stuff has any meaning to me. There’s no way to know why it was important enough to be kept, or who it belonged to, or why I ought to care. And so it seems like the right thing is to let it go. And hope I don’t regret not keeping any of it. The house was a time capsule, much of it frozen in place the day my mom died in 2005. The level of housekeeping fell off, the amount of space that was lived in decreased. A few things, though, kept progressing onward. Like wall calendars. My dad has a strong fondness for calendars (they are his go-to Christmas gift for the sons-in-law and grandsons – trains, airplanes, beer, or other special-interest topics chosen specifically for the recipient) and he always treated himself to one or two while he was placing the order. His own choices ran to steam locomotives and scenery from England. For as long as I can remember, a calendar has hung on the left side of the back door, swinging from a nail he pounded into the maple paneling decades ago. These two calendars – the train one by the back door and the college one above the toilet – are frozen in a different time capsule: August 2012. One morning in the third week of that month, he failed to show up at my husband’s office, as had been his daily habit for the nineteen years since his retirement. My son, who works at the same office, went to look for him, and found him on the floor, under the train calendar. He’d been there all night. An ambulance came, against his wishes, and took him to the hospital. He’s not been home since. In the intervening months, he’s been in the hospital two times, had a pacemaker implanted, been in one facility we came to refer to as a “skilled” nursing facility, and been in another one that really did have skilled and caring staff; currently lives in an assisted living center. There were times early on when we were all pretty sure he wasn’t going to make it, and times when we thought he’d be able to live at at home again. We were wrong on both. Cleaning out his house wasn’t as emotional as I had thought it would be. I think I somehow compartmentalized it as just some old, fairly interesting stuff I happened to be sorting through, instead of letting myself think of it as his stuff. Stuff I was deciding to keep, or throw away, or put into the estate sale. But I didn’t let myself become The Oldest Daughter, working at her grim task. That’s when the ephemera of an old man’s life got to me. The drawer full of disposal razors. The half-used tube of toothpaste and the barely-worn toothbrush. The black plastic comb. Hand lotion tipped up to get the last bits out of the bottle. A metal nail file. And the padded toilet seat. 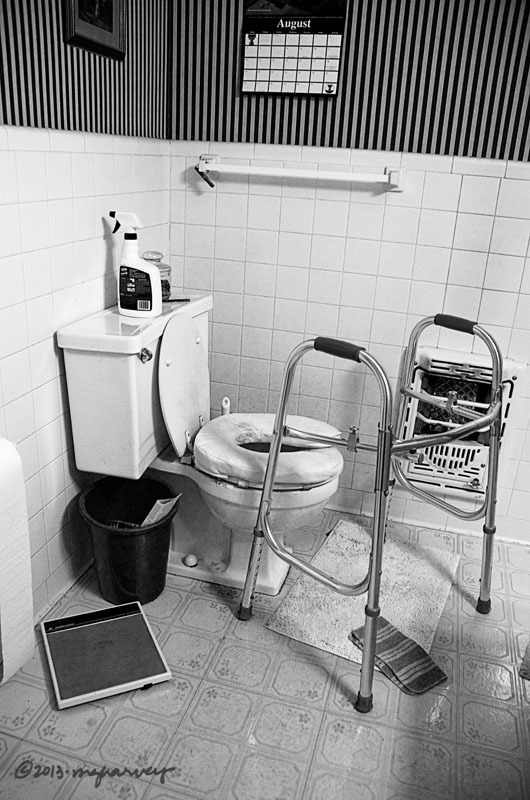 His walker parked there, because he needed help getting up from the toilet. The unstrung role of toilet paper. A completed crossword puzzle book in the wastebasket. And the calendar, turned to August 2012. First of all, is it possible that my mom invented using drinking straws to corral spools of thread? I’ve never seen anything like that before, but then again, I am possibly the very last person to keep up with trends that involve storing sewing supplies. When I was growing up, the only store-bought clothes I ever had were my Brownie and Girl Scout uniforms. My mom made everything else. She made matching dresses for my sister and me, for Sundays. She made shorts sets, and coats, and dresses, and elastic-waist pants, and pajamas. I feel better, now that I’ve set the record straight on that. One summer – I think it was the one before I started high school – my mom did take me to Hemphill Wells. We looked at dresses. Didn’t try any on, and sure as hell didn’t BUY any. 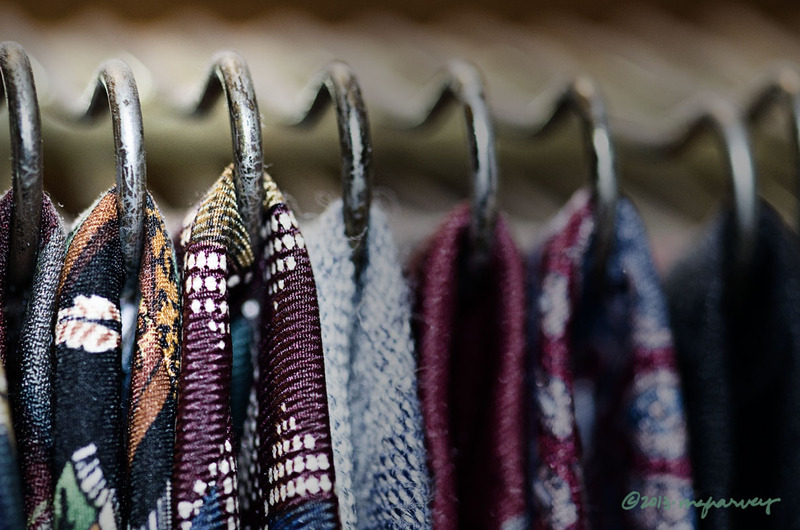 We did, though, stop at Cloth World on the way home, with the memories of those dresses still fresh, so we could get patterns and fabric to sort-of copy what we’d just seen. Later, there was a chiffon and lace wedding dress, with approximately one mile of lace sewn by hand to the full chiffon skirt. So it is starting to seem like my dislike of homemade clothes is something I’ve projected back to my past, instead of something that actually happened. Why else would I have such strong memories of those clothes my mom made for me? Why else would I have, right now, hanging in my coat closet, my recently-rediscovered wedding dress? 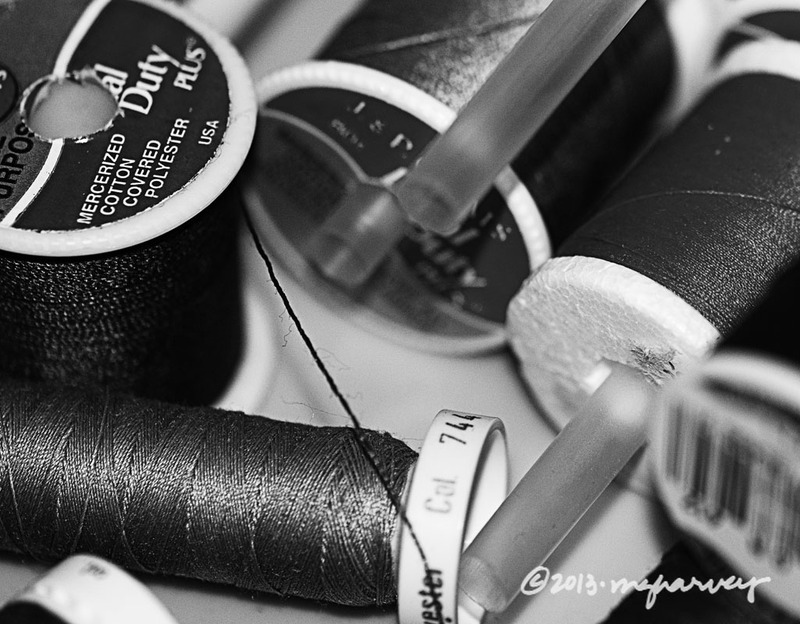 And why would seeing those spools of thread, threaded onto straws, have brought a tear to my eye? 3. My mom really was very shy. In groups, especially, until she found one person (or a child: she liked kids) to talk to. 5. They both were active church members. Once, my mom was teaching Sunday School for three year olds – the class was called Toddlers – at the same time my dad taught a class for senior citizens. He dubbed them the Old Toddlers. We laughed about that for a long time, but don’t bring it up any more: now that he is an Old Toddler himself, it might not be quite as amusing as it used to be. 6. So depending on how you look at it, this either makes no sense or a lot of sense: both of them spent years working as volunteer chaplains at the hospital. They’d go on hospital visits every Sunday afternoon, still wearing their good church clothes, and spend a few hours stopping by to visit patients. 7. My deepest admiration goes to them for doing that; it’s not something I could do. 8. It’s been almost fifteen years since Methodist Hospital changed its name (and its religious affiliation, too) to Covenant Medical Center. 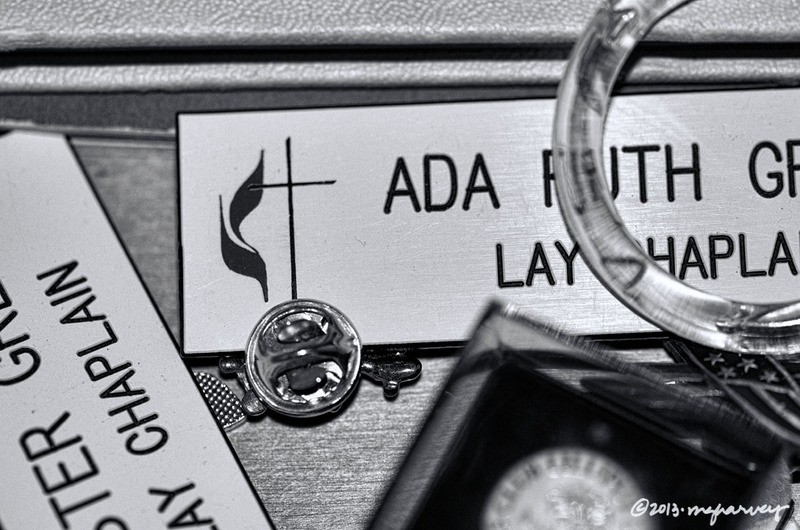 But, my parents’ nametags from their chaplain days were still in the dresser drawer. Eventually, it came to this. 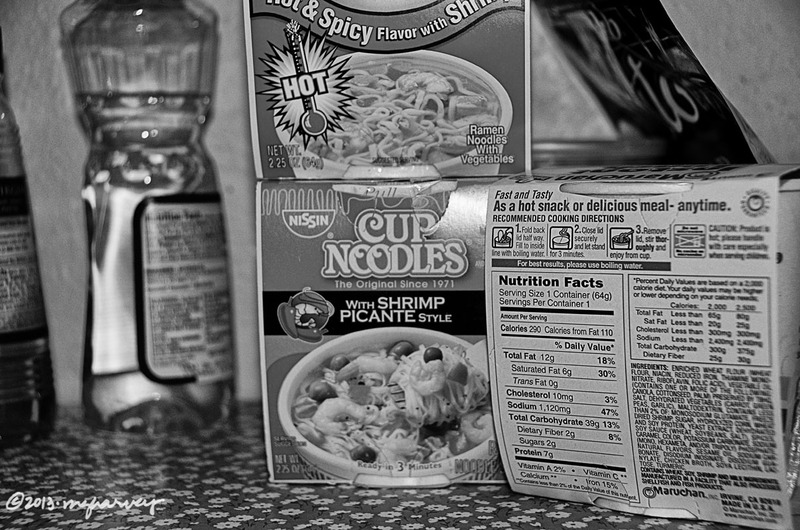 My dad’s pantry was stocked with instant noodles and cans of soup: his solitary meals easy to prepare. But it breaks my heart to think of him, alone in my mom’s kitchen, stirring water into a cup of noodles. My mom was a dental assistant before she got married, but in the tradition of the times, didn’t work after the wedding. When my sister and I were older, she worked as a classroom volunteer for Head Start, and still later as a pre-school teacher at a Presbyterian church’s child care center. Mostly, though, she was stay-at-home wife. We had home-cooked meals nearly every night. Our family tradition was to eat out one time a month, and the honor of choosing the location rotated among family members. The favorites were Furr’s Cafeteria (where we could marvel at the tea cart lady’s big hair) and Youngblood’s Fried Chicken, though from time to time we’d be adventurous and go to the Ming Tree, where we could have some Chinese food while the owner of the place entertained the patrons with magic tricks. Only a few things that my mom cooked have stuck in my memory, though surely her repertoire was much larger than my list suggests. Salmon Croquettes – patties made from canned salmon, egg, and mashed up saltine crackers then fried until brown. Chicken Tetrazzine – a fancy name for chicken and spaghetti. Tuna Casserole – there was a time when she was on a tuna casserole kick; I still remember that smell. And my memories aren’t necessarily fond…. Macaroni and Cheese – she made the best mac and cheese ever. King Ranch Casserole – the KRC phase came after the tuna casserole. This dish, named for (but probably never served at) the huge Texas ranch, was made from layers of corn tortillas, chicken, cream of mushroom soup, cheese, and so on. It was thought to be pretty exotic, for its time. Tacos – with packaged seasoning mix cooked with ground beef. Also exotic. Canned Chinese food – also exotic, which I guess was served for those nights when a trip to the Ming Tree wasn’t feasible. Stuffed bell peppers – when we were little, she’d make an alternate dinner for my sister and me, of unseasoned ground beef cooked in a small skillet. I still always associate that little aluminum skillet with stuffed bell peppers. Aunt Debby’s Rolls – a recipe from my Aunt Debby (which you might have figured out), with All Bran cereal as the main ingredient. I think there’s a chance of an error in the handwritten recipe, because the rolls never did rise up to be more than a half-inch high. But still, these rolls were a staple, and the recipe was never modified. Or switched out for another one. Pie crust – oddly enough, though my mom wasn’t a terrific cook, she made excellent pie crusts, using the recipe straight off the inside back cover of the Betty Crocker cookbook. I have her recipe card box and a couple of binders with her recipe collection. Most of the recipes are handwritten, and include her unique spelling style. If you know what I mean. Mackerel Loaf – I have absolutely no recollection of this at all, but the page is stained as though the recipe was prepared at least one time. Reading through the ingredients (canned mackerel, chopped pickles, eggs, milk, white sauce) makes me think there is a possibility of a repressed memory. Maybe my memory of smelly tuna casserole is actually a memory of mackerel loaf. Stir ‘n Roll Biscuits – this is written in my dad’s handwriting. He never made biscuits. Ever. Why would he have copied down a recipe? So, when it was time to clean out the house, which had been vacant for a year, the sad contents of the pantry reminded me all over again of how much we’d lost. I’d be happy to share the mac and cheese recipe. And if you ask nicely, I’ll throw in the mackerel loaf one, too. PS – My parents mourned the decline of Furr’s Cafeteria. The grand piano in the corner disappeared. The tea cart ladies did, too. But the one thing that my folks felt symbolized the decline was when the silverware was no longer wrapped in cloth napkins. My dad still talks about that. And now he points out that the cloth napkins at his assisted living center have been replaced by paper ones, which disturbs him. The first thing I noticed, nearly, when I started cleaning out my dad’s house was the huge number of toothpicks lying about. On the breakfast table. On the metal tray where he kept the toaster. On the lamp table beside his TV chair. By the sink. Next to his computer. On the nightstand. On the lavatory. On the kitchen counter. In the junk drawer in the kitchen. On top of the clothes dryer. Next to his briefcase. I don’t think he’d thrown away a toothpick in years. Where he lives now, in an assisted living center, I don’t think he has toothpicks in his room. I wonder if he misses them. My dad wore braces on his teeth when he was a kid. He’s 90 now, so he was a kid a very long time ago. And it wasn’t like he lived in a city, where even in those early days of orthodontia, braces would have been easy to obtain: he lived in a small town in the Texas panhandle. His teeth are crooked again now, having found their way back, over the decades, to the places in his jaw where they started out. My mom was always self-conscious about her teeth, which were very crooked. She finally got braces, as an adult, and seemed to smile a lot more once her teeth looked better. I wore braces twice. Once for six years, spanning all of junior high and a good part of high school. Then, I got them again about 15 years ago, and wore them for a little more than a year. I was a much more compliant patient when I was paying for the braces myself. Loosing the teeth may reflect a loss of power as well as a grasp of life circumstances. I suppose I concur with that assessment. The past year and a little more has been a time of great upheaval, a time when I often felt as though my grasp of things was slipping. But I try to remember that no matter how much upheaval I’ve felt and had to deal with, it is a tiny drop compared to what my dad has gone through. In a short period, he went from owning a home full of his life’s possessions and living on his own and on his own terms, to holding a couple of checks after the house and its contents sold. Everything he owns now is compressed down to what fits into that efficiency apartment, and he has to ask me to run his errands. He’s never asked for toothpicks. Spanish textbooks might not seem like something you’d expect to run across, especially ones like this, which obviously have some years on them. My dad spent about a year and a half in the mid-1940s in the Dominican Republic, working as a surveyor for Standard Oil. He was 21 when he went down there, a small-town kid in a foreign country. 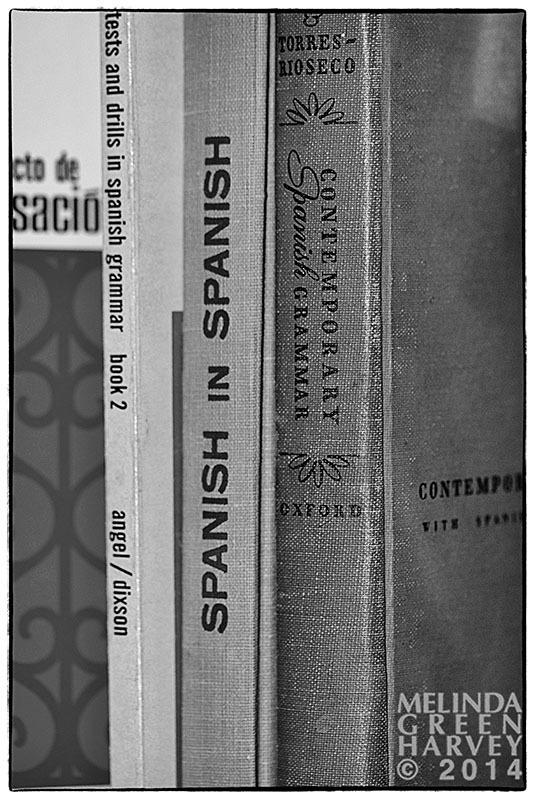 He learned Spanish there, and continued to study it for most of the rest of his life, even going to language school in Mexico when he was in his 70s. During his time in the Dominican Republic, he wrote letters to his sister Elizabeth, who kept them. I’ve got them now. For most of my life, my dad’s dry sense of humor has been a source of great entertainment to me; it has gone dormant lately, which makes reading these letters a powerful mix of high entertainment and great mourning. Here are some of my favorite things he wrote. Anybody that enjoys living had better not criticize the government (of the Dominican Republic). The main hobby of the children around here is to stand outside our door and stare at the Americanos. There is a fruit they call the guanabana. It grows about 6 or 8 inches long and is sort of egg shaped. It is covered with a tough skin that has a resemblance of thorns on it but they won’t stick you. The insides have a sweet taste but make you think you are eating somebody’s attempt at making synthetic rubber. I am using a Spanish typewriter that the office in the capital sent out to us. Since it varies slightly from an American typewriter, don’t be surprised at anything that it writes. We went to the show last Sunday. Among other features was a British newsreel and it sure did tell how the British were winning the war. I won $4.40 on a horse named Sleepy. I bet you thought I wasn’t going to write to you any more but I get lots of fun fooling people like that. Sparks is now laid up in the hospital. He had a boil…and he let the local doctor (that is just an honorary title) fool with it. You said in your letter that Ernie went to visit Leon and Betty. I am glad to hear that they had company but I would like to know who Ernie is. I liked Miami very much, mainly because it was so different from anyplace else I ever was – I dare say that there are more ways to get rid of your money in Miami than in any other city in the world. You are always speaking of playing cards – what kind of cards do you play – and for how much? San Juan has a movie theatre so we get to go to the movies once in a while…last night we saw a British film, which I hope doesn’t happen again. When I started this, I had a lot of things to say, but I seem to have forgotten most of them so I can’t do anything else but quit. I might consider going to Baltimore but I don’t have any business up there and beside the trend in the Green family seem to be towards becoming —– Yankees so I don’t want to expose myself needlessly. This is really a nice camp and I wouldn’t mind living here at all if there were someone here to do nothing with me. There was more, of course. He wrote about the work, trouble with the big bosses, the shortage of tires, what he wanted to do when he came back to the states, things he bought for himself (a camera, a watch, a custom-made suit), his Dominican girlfriend Blanca, and gave lots of (probably unsolicited) advice to his sister. Together, it creates real-time view of events that were pivotal in his life. But it’s the pieces, the glimmers of his signature humor, that I most treasure. And it helps ease me through the loss of that humorous outlook. I was a Girl Scout, from early grade school all the way through high school. My Brownie uniform was my only store-bought dress – my mom sewed everything else. She was the Brownie leader; now that it’s too late to find out, I’d really like to know why she decided to take on that responsibility. She was painfully shy, not much of a person who joined something in order to take on a leadership role. In fact, at the time I first joined Brownies and she became the leader, she’d only been driving for a few years. She was never a bold or adventurous person. •	I was so shy that selling Girl Scout cookies, at 50¢/box, was too much for me. I could barely squeak out a sale pitch to the Strongs or the Simses or the Dennises, neighbors I’d known all my life. •	Sometimes we wore white cotton gloves with our uniforms, for those more formal meetings (whatever they were). •	Our troop took cooking classes at Maxey Community Center. My Certificate of Completion (dated March 30, 1966) is framed and hangs in my kitchen as proof. •	The way we learned to tie a square knot: we sat in a circle, each with a length of white cotton rope that we tied together with our neighbor’s hunk of rope. Then we put the circle of rope behind us and leaned back against it. Knots that were tied wrong slipped apart and the incompetent knotter would pitch backward. So I progressed onward, to Cadette, Junior, Senior levels. For many of those summers, I’d go to camp at Camp Rio Blanco, about an hour’s drive away from home. My first year at camp was harrowing. I didn’t know anyone there, I didn’t understand camp protocol, I’d never spent more than one night at a time away from home, I was shy. But I stuck it out; the only truly awful thing that happened that year was the day at breakfast when the counselor at our table made each of us eat a stewed prune before she’d allow us to leave the table. (The idea of just refusing that silly demand never crossed my mind.) I could feel my throat constrict as that prune slid past. It was disgusting and it remains the only prune I’ve ever eaten. Even their recent rebranding to “dried plums” can’t erase that memory. As much as I dreaded camp that first time, I grew to love it and went every summer through the 10th grade. I liked wearing the camp uniform – dark green shorts, white shirt, green knee socks with red garters, and if I was lucky, the double loop of gold braid over my shoulder that marked me as a patrol leader. I liked the flag ceremonies, singing together in the dining hall after meals, hiking to Arrowhead Mesa or to Silver Falls, playing in the creek (wet years only), the swinging bridge across the draw, sitting around the campfire, swimming. And the friends I was starting to make. We stayed in tents that were built on wooden platforms. The sides and ends of the tents would roll up and on those hot summer nights, we’d usually roll up all the sides to let the breezes cool us off. There were four or five girls per tent; the beds were metal cots with thin mattresses that we’d spread our sleeping bags across. Our footlockers would be stowed under the beds. My long range plan was to be a camp counselor, and I’d planned on taking Counselor-in-Training the summer after my junior year in high school. But a late-spring bout of mononucleosis left me unable to pass the required physical, and so, suddenly, my Girl Scout camp career was over. My old footlocker was kept in service, though, in the store room off the garage. It was stuffed full of the random things my parents kept: my dad’s high school diploma was in it, as was a string of beads my mom got from a pen-pal, a broken doll, and a handful of old and faded (and unmarked) snapshots. And inside the lid: the packing list from camp, with a wavy line through the line for bedding. I used a sleeping bag, after all. Folded into the cedar chest at the foot of my parents’ bed – the Girl Scout leader uniform my mom had worn. So, while I don’t know why she decided to take on that particular challenge, I can safely surmise that she had memories that were fond enough to warrant saving her uniform for decades. Her uniform and my footlocker went to the estate sale. Age was creeping up on my dad, too, and he was starting to need some repairs of his own. In the first six years after my mom died, he had a knee replaced, shoulder surgery, and prostate surgery that he described as a “ream job.” When he was in the hospital for the prostate surgery, the nurse cheerfully told me that in a week, I could remove his catheter. That was wrong on, well, every single level I could think of. My current self would have argued about it right there, but the person I was then accepted that ridiculous statement as The Way Things Are Going To Be Done. As that week limit crept up, though, I phoned the doctor’s office and made an appointment to get the catheter removed. Even with the repairs, time was winning. My dad got less and less able to take care of the house. At the same time, he got more and more skilled at masking how bad things really were. If there was something that he just couldn’t figure out how to fix on his own (I should probably say “fix” on his own.) he’d call us in for help. On the Saturday morning of what turned out to be his very last week to live in the house, he reported that he’d been using an ice chest because the refrigerator had gone out. I took him to the store and we got a replacement; the exceedingly kind gentleman who waited on us (who surely had an elderly parent of his own) arranged for the new appliance to be delivered that very afternoon. Then, on that Thursday evening, my dad fell, spent the night on the floor, ended up in the hospital and rehab and the hospital and a different rehab, and eventually, into assisted living. After my mom passed away, my dad and I would meet for lunch every Saturday at a place he called “the ham store,” where we’d split a sandwich. (We did each have our own bag of chips, though.) At one of those Saturday lunches, he told me, “I am going to count on you to tell me when I shouldn’t be living by myself any more.” I held tightly to that card he’d given me, knowing that I would have only one chance to use it. Maybe knowing I just had one chance helped me to act more slowly than I ought to have: as we moved his belongings to assisted living, it became clear that I should have had That Talk with him much sooner. The place was a mess. It wasn’t clean. Things, a lot of things, didn’t work right. There were piles of stuff all over the place; not hoarder-level piles, but still. After about a year of paying utilities and insurance on his nearly-empty house, he directed me to call in my sister, sort through and divide up the contents, have an estate sale with what was left over, and put the place on the market. The sorting-and-dividing was an ordeal, and I’ll just summarize that part of it by saying that my sister and I are no longer in contact. The selling went quickly; I told the realtor that my only goal was to no longer own the house. I didn’t want to paint or put down new carpet or stage anything. I just wanted it gone. She came through for me, and within a week had sold it to a couple of women who flipped houses. And then one day, what had first been the formal living room (which seems unbelievably quaint now) and then had been my dad’s home office was empty of the stuff. And it looked like this: dusty, dirty, forlorn. And old man’s house. And the old man and the house were both worse for wear. I was not in favor of the upcoming move, in the fall of my 4th grade year. I tried all kinds of clever schemes to change their minds, including an argument that the concrete slab floor would be too much on my flat feet. Yes! I really thought that would be a sound enough argument to have the whole thing halted. My dad would phone the realtor, saying, “Bob, I’ve got some bad news on that house over on Nashville. It’s, well, it’s my daughter’s feet…” and then Bob would say, “They’re flat, aren’t they? I understand. This isn’t the first time I’ve heard something like this. Now, as for that earnest money…” and we’d get to stay. I liked the little house, the one we were leaving. The side yard on the west was nicely rugged; the back yard (even without my beloved willow tree, whose roots clogged the sewer one time too many) reminded me of fun: swimming in that small plastic pool, making hand-churned ice cream, finding the stray kitten we’d name Finnegan, the swing set, the playhouse. And the bedroom, shared with my sister, with its homemade bunk beds. The kitchen where I could remember my parents developing slide film late at night. The scratchy wool carpet in the living room, with the greasy stain where I’d spilled the Campho-Phenique when I was trying to doctor some itchy mosquito bites. And also in the living room, the fake fireplace that for some reason had shiny blue tiles. Even at a young age, I seemed to have a strong connection with the place. The flat-feet ruse fell through, and the move was set for the day after Christmas, in 1964. My sister changed schools, enrolling in second grade at the school two block away. I refused and finished out the year at my old school, which was seven miles away and which required my automobile-shy mother to drive over twice a day. I apparently was going all-in on my not moving platform: I stayed with the world’s worst 4th grade teacher, just to make a point. There were changes to the house over time. Trees got planted in the front yard, to shade the house from the strong, hot afternoon sun. The tile in the den was replaced with carpet. My dad painted the wood panelling in the den, and later, the kitchen cabinets. The old Formica counters got replaced with new Formica counters. Over time, as money was there, my mom filled up the house with her beloved Ethan Allen furniture. It was generally cosmetic changes, not the large-scale renovations that I’ve done more than once as an adult. As my parents got older, my mother would occasionally float the idea of moving to a senior-living place; my dad declined to even discuss it, refusing to leave his two pecan trees in the back yard and his turtles and (I’m guessing on this part) what he saw as the status associated with aging in his own place. The rate of house improvements slowed, then stopped. The rate of things in need of repair increased; generally speaking, if my dad couldn’t do the repairs, they went un-fixed. And his repairs were mostly of the half-assed variety. He was a brilliant civil engineer, and a haphazard repairer. It got worse after my mom died; my dad retreated into a few square feet and left the rest of the house to literally gather dust. After his move to assisted living (which was most certainly not his idea, and he’d’ve been the first one to tell you that), the house sat there vacant. Upon advice from our insurance agent, we left the utilities on and kept the household items that didn’t go to assisted living, and eventually my dad decided it was time to sell the place. 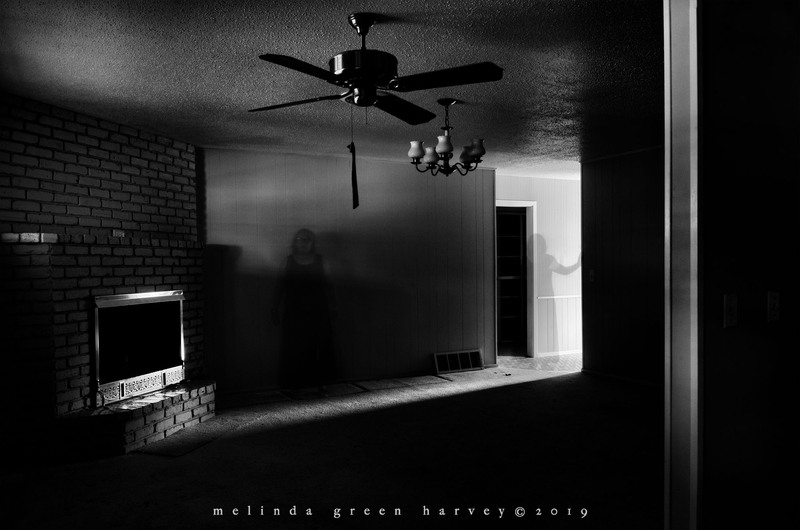 The sale of the property and the estate sale of the stuff happened quickly, and one evening, I was there alone in an empty house. I was still second-guessing the decisions I’d made regarding my dad’s living arrangements and the disposal of the house and contents. I felt left in the shadows, felt split by the light of what I’d done, felt more melancholy than ever before in my life. So I made a photograph. Exquisite! What a familiar sounding trip, making the sort. It becomes more emotionally exhausting than physical to dig through the memories, and making sense of them with age and more perspective. Fine, fine job Melinda! I loved it! John, in the time-tested tradition of writers and photographers, I tried dealing with an emotional situation by writing and taking pictures. It’s helping me, and I am gratified that it resonated with you. This is an on-going project, which I post on the blog. You are exactly right – cleaning out the house was a lot more emotionally exhausting than physically. I suspected that would be the case, but I underestimated it. By a lot. Thank you so much for these very kind comments, too. I admire your work a great deal, and your words mean a lot to me. I am enthralled! Your dad sounds like an amazing dad! I think it’s amazing that you are charting your finds through your photography and stories. My father suffered a stroke a couple of months ago and we are still trying to pick up the pieces, so I just want you to know that I fully appreciate what you are doing and I love your writing. Yours is one blog I want to read more about! Thank for taking the time to read this piece, and to comment. My very best wishes to you as you try to pick up the pieces after your dad’s stroke. I intend to continue posting essays for this; it helps me deal with the situation, and I am always gratified when someone else finds solace in what I’ve written. Oh, and yes – my dad iIS amazing! I went back to look again at this series. What a wonderful concept, whether it was yours originally or not. 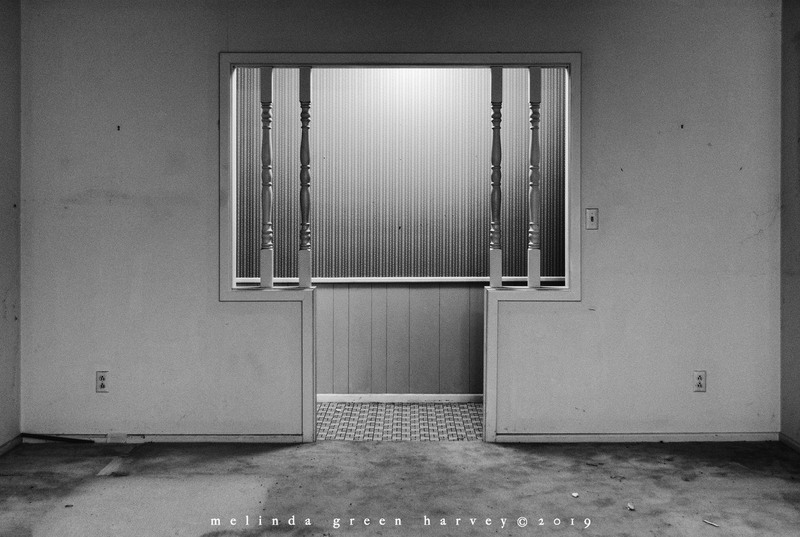 I can’t conceive a better medium to explore nostalgia than photography? Thanks for letting us into your life. Bill, thanks for your comnent. This project has languished for a while – it got harder than I was able to deal with right now. But despite the sadness, thanks for your comment and for following the blog! I found your blog through my daughter’s blog (Victim to Charm). When my dad then my mom died, my brother and I got rid of a lot of stuff, but also kept a lot of knick-knacks, jewelry, and other things that reminded us of them, or we felt were too valuable just to give to the Goodwill. Recently retired myself, on my list of things to do is finally shedding much of this physical detritus. But I want to keep the memories. I had thought about just photographing them (as an archivist would do–I don’t claim to be even an amateur “photographer”). I also, on a peri-retirement whim, checked several books out of the library about memoir writing. Your posts have inspired me to both take pictures and use them as prompts for my own ruminations about my childhood. Thanks for the inspiration! I loved getting to know you and your parents through your words and pictures. Your comment has inspired ME to get back to the project, so thank you for that! I am glad your daughter’s blog (which I follow, and enjoy!) led you over here. Please let me know how your photography/memoir project progresses. The things we tell strangers indeed… 🙂 I’m so glad that I clicked this. It’s been like listening in to your thought process. Not such a stranger any more. Oh, thank you so much for reading that stuff, and for commenting. I have quite a few more images from cleaning out my dad’s house, but I got sidetracked with other stuff and never got back to the project. I recently finished all the legal stuff with settling my parents’ estates, so maybe it’s time to revisit those images. Thanks for helping me get it in mind again. Thanks so much for sharing this! It brought back memories of going through my in-laws home when they moved to a nursing home and later of my grandmother’s home when we lost her. I wish I had thought to take photos. 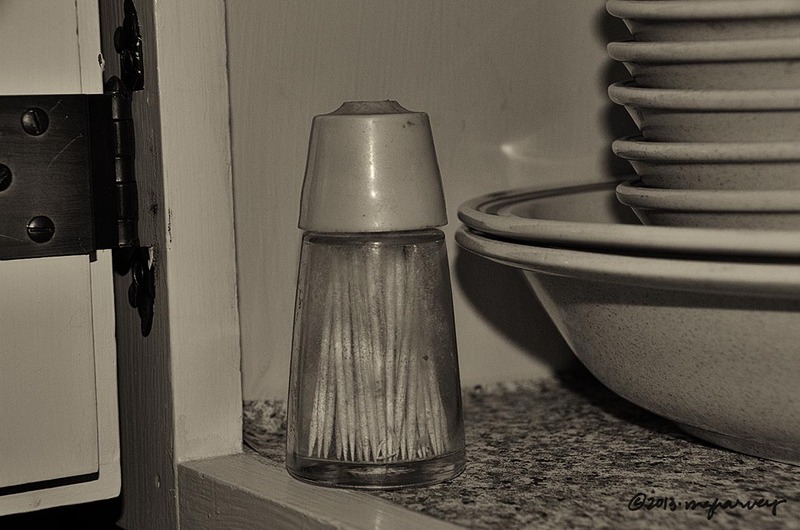 Your photos tell a wonderful story of the life of you and your parents. Thank you so much; I appreciate your taking the time to look at it and to comment. I sort of abandoned this project part-way through because it was too emotional for me. Lately, though, it’s been on my mind again, so maybe that’s a sign that it’s time to go back to it, and get it finished. I understand it being too emotional! I have all my grandmothers recipes and her handwritten notes. I want to make a recipe with photos of her cooking. —. She cooked all the time. I just can’t seem to get to the ready to do it phase. Good luck! I like the idea of making your grandmother’s recipes and photographing them! Don’t worry about getting to the “ready to do it” phase – it’ll show up when you’re ready. Keep me posted – I’ve love to know where your idea goes! The title of the section interested me for completely different reasons than the writing was about. So I was going to make this a brief read. But I stayed. Sucked in by the emotions that it elicited. I did not relate completely but it brought me back to the day I had to sort out my parents’ belongings (who died 1 month and a day from each other). I don’t think I’ll thank you. It’s been painful to go back to those days. But the photographs are so moving because of the writing that goes with them. I commend you for that. I guess a thank you is in order, regardless. Those days were incredibly painful for me, and I stopped writing these essays for a couple of years because it was just too hard. My condolences on the close-together loss of your parents; I cannot imagine how hard that was.